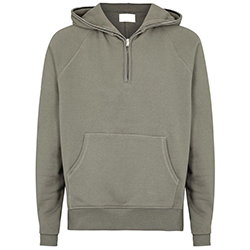 Since we have years of knowledge, our organization has arisen as foremost suppliers of WB-610 Gym Hoodie We have developed a separate unit, necessary for making a stock of the offerings. In addition to this, we maintain complete hygiene inside the unit. WB-610 Gym Hoodie has a soft fabric lining with a long sleeve length and two front pockets.